Of all the leadership traps, none is more fatal than ego. When others around you are whispering how wonderful you are, how fortunate the group is to be led by you, then even the strongest of wills can break. Or, if you are so insecure that you must feed your own ego, then your leadership will fail. 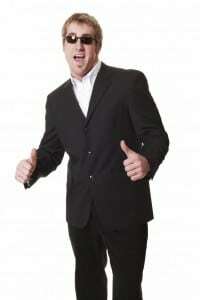 People will intuitively sense you are in it for yourself, not them. Greek myth celebrates the Oracle at Delphi, a powerful city-state around 1600 BCE, where entrances to various temples had inscriptions over their entrances, such as “Know thyself” and “Nothing in excess.” Aristotle, the Greek philosopher, celebrated the “golden mean,” the desirable middle between two extremes. Courage, for example, is the virtue between the two extremes of recklessness and cowardice. So it is with ego. Leaders must have a healthy sense of self to have the courage to lead, especially in challenging times, when the way is not clear, when colleagues push for contradictory courses of action, and the leader must make the final call knowing that some will not like it. That leader needs confidence to withstand the criticism and controversy. That leader must be grounded, authentic to what leadership authors Bill George and Peter Sims call their “True North,” cognizant of their personal values and the shared purpose, values, and vision of the group. Above all, that leader must understand that her ultimate role is to serve the group and others impacted by the decision, not to enhance her own ego. If you are serving others, then, even though your decision may be attacked, you must have the courage and the confidence to choose accordingly, believing that your choice is right for the group. A great contributor to overcoming ego is the realization that great leadership is a group performance, ebbing and flowing among various followers and leaders to jointly achieve the vision, even within the hierarchy of any organization. Leadership is not all about me; it’s about us. Thus, much depends on our intention and whether it is for self (the ego run amuck) or for the greater good of others (serving). Ego, which places the self at the center, is not the golden mean. The confidence to do what is right when all about you have lost their heads: that is healthy ego. How can leaders avoid the ego traps? A trusted, small group of a few key people, who can observe you in action, is essential. Empower them to give you open, honest, constructive feedback, especially if they sense your ego is running amuck. Meet with them regularly. The ability of the human mind to rationalize its own self-serving behavior is both astonishing and alarming. Test your tough decisions with these trusted advisors. Leadership is all about relationships, healthy relationships that serve one another, not self-serving ego. 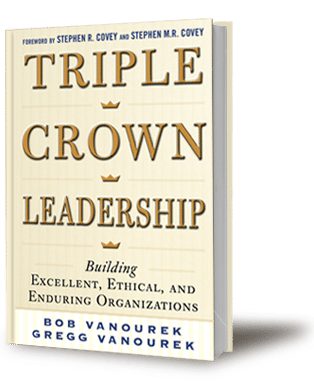 Bob and Gregg Vanourek, father and son, are co-authors of Triple Crown Leadership: Building Excellent, Ethical, and Enduring Organizations, a 2012 USA Best Book Awards finalist. Bob has been CEO or a senior officer at numerous public companies and a university leadership instructor. Gregg has co-authored three books and teaches at the Stockholm School of Entrepreneurship and Royal Institute of Technology.